As hungry as I have been for characters that look like me on the screen, when I watched “Crazy Rich Asians,” my heart sank, says writer Naomi Ishisaka. But despite all its shortcomings, I hope "Crazy Rich Asians" is a hit. Why? Because the frothy rom-com is the first major Hollywood film, since “The Joy Luck Club” 25 years ago, to star a majority Asian cast, with a contemporary, Asian-American focus. Like most Asian Americans, as a child I grew up seeing few images of myself on mainstream television or movies. In the rare event an Asian-American character appeared, I watched with intense interest, recoiling in shame at grotesque stereotypes (Long Duk Dong in “Sixteen Candles”), or confusion at why U.S.-born Pat Morita, a Japanese-American guy who looked like he could be one of my uncles, spoke in aphorisms with a heavy accent in the “Karate Kid.” To this day, I have never seen any film or TV show that remotely resembles my family or me. Yet as hungry as I have been for characters that look like me on the screen, when I watched “Crazy Rich Asians,” my heart sank. Why, after 25 years, did the lone Hollywood film featuring an Asian cast in a modern setting have to be represented in the fictional world like this? I was raised among a community of Asian-American activists, educators and social workers. People who believed that the measure of your worth was the extent to which you used your time on this earth in service of a more just world. As a child of a family that lived through the injustice of Japanese-American incarceration, the consequences of apathy could not have been clearer. As the legendary activist Yuri Kochiyama said, “We are all part of one another,” and our responsibility is to ensure we all thrive. “Crazy Rich Asians” is the through-a-looking-glass parallel Asian world of values I don’t recognize. While purportedly about the value of love over materialism, the ultimate effect is a love letter to the excesses of capitalism. It glamorizes obscene wealth, designer clothes, opulent homes, shopping and $1.2-million earrings. 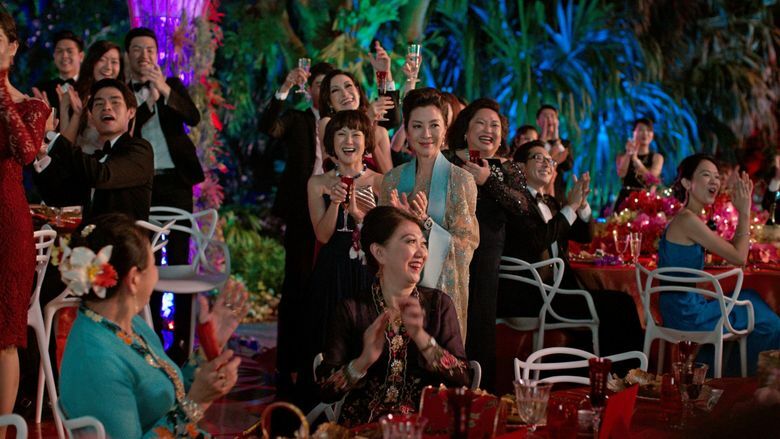 The central characters prioritize status and social mobility and believe, as one of the characters remarks, that “class buys power.” The film incorporates familiar tropes (the uber-rich Asians; the down-to-earth, new-money best friend who speaks in African-American Vernacular English; the overwhelming heteronormativity but with a token Asian-gay-male fashionista; and on and on). 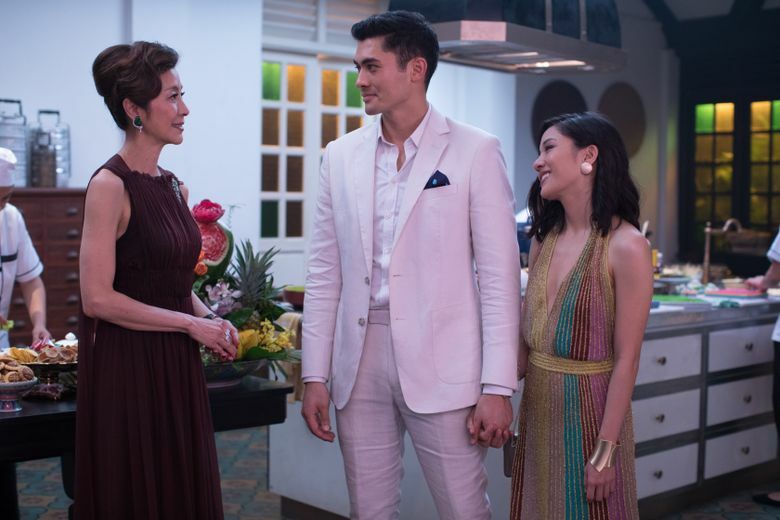 Set in multicultural Singapore, the glamorous world of “Crazy Rich Asians” is inhabited by East Asians; the island’s Malay and Indian Singaporeans are relegated to roles as servants. In a country in which discrimination against Malays and Indians has existed for years, it’s particularly galling to see the marginalization of brown people in this film. Almost to highlight this paradigm, one character in the film derisively says his family “came to Singapore when there was nothing but jungles and pig farmers,” describing the indigenous society that dominated the island for hundreds of years. Yet despite all of these shortcomings, I hope “Crazy Rich Asians” is a hit. Because there is room for all kinds of stories, even ones I find antithetical to my values. Like groundbreaking filmmaker Ava DuVernay says, people of color and other marginalized people have to create our own doors for representation, not just keep knocking on doors and begging for access from people who have always had the power. The only way to do that is to tell more untold stories, of more people and more communities. The only way those stories will be told is if Hollywood thinks there is an audience. One film should not have to carry the burden of representation for 20 million Asian Americans and 4.5 billion Asian people in the world. For this reason, I hope the film succeeds and that it’s the first of many, many, more. Naomi Ishisaka is a Seattle-based writer, journalist, photographer, graphic designer and communications specialist with a particular emphasis on racial equity and social justice. Find out more at naomiishisaka.com.